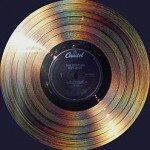 You are reading this post because you are dreaming to become a record producer. Let me help you in attaining your goal by providing some practical tips. Bear in mind that being proficient in all the technical aspects of recording, mixing and mastering process is also very important. 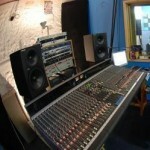 But technical skills however is an added advantage but NOT required if you would like to become a recording producer. What is required is that you should be able to transform an ordinary raw demo of the song (provided by the songwriter or the artist) into a great sounding music using production elements (unique drum sequence, cool guitar solos, great bass rhythms, nicely performed vocals, etc.) by utilizing the entire member of your team (recording engineers, mixing engineers, mastering engineers and your artist). For example if you listen to your favorite song in the radio and you love the guitar intro, vocals, drum section etc. It is not solely because of the artist, guitarist or drummer. This is only one side of the equation. The real reason is that the recording producer is GREAT! It is because the producer will be the one that decides and approves the artist performance while recording in the studio. If the producer does not like the resulting sound coming from the guitars, it will not become the best take that would be included in the final mix. The producer will ensure that all the arrangements (which are the production elements) added to the song sounds very nice. Be thankful to the record producer because he/she really the biggest factor why song you’ve heard in the radio and everywhere sounds great. Aside from working with the song on how to make it sound great, you should be comfortable working with several artists and help them reach their full potential. You should have the talent of spotting the strength of your artist and using them to create the best sound from their instruments. All you need really is an open and critical ear. By listening to your artist performance, you will decide whether it sounds good or not. If not, ask for another arrangement until you are satisfied before recording it. Now for the most exciting part, how do you start to become a record producer? 1. )Start with any artist that writes their own original songs. Decide on a genre you love (whether rock, jazz or country, etc.). Of course before contacting them, you should like that song you are planning to produce. It could be your neighbours’ band or classmates in college. Tell them that you want to produce their best song in the manner it would sound as professional as possible or broadcast ready. Many would say “yes” because their demo does not sound nice and broadcast ready. Tell them that you are willing to finance the project, more on this later on. 2. )Politely ask them to provide some demo tapes of their recording, if they do not have some demo tapes, ask them to play live during their practice. You can record the live performance of the song in your own recorder (handheld cassette is enough). 4. )Meet with them again during their band session and introduce your changes. Let the band practice the changes. They should love it! If the remarks from the band have been very positive because it helps improve their song, offer them to record the song finally in the professional studio. Of course, you should be financing the recording and you will be claiming the sound recording copyright ownership. Some bands have money and you can share the expenses with them and also the ownership of the sound recording copyright. Details of the legal aspects will be provided later. 5. )Since you are the producer, you will be booking with your desired recording studio in advance and research for good recording, mixing and mastering engineers that can work on your song. Use the Internet and get some feedbacks on them. Make sure you know the engineer is great and that you have listened to some of the previous works. 6. )During the recording session, you are the boss. 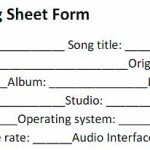 The band should perform the entire song according to your production plan and the changes you have incorporated to make the song sounds very nice. 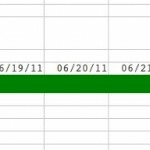 Organize the files recorded so that you won’t get lost with so many retakes or repeats. 7. 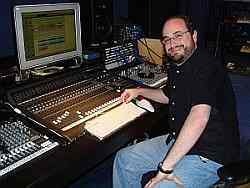 )After recording, you will forward the tracks to the mixing engineer. Sit together with the mixing engineer during the entire session and assess the results as if you are listening to your favorite song in the radio. Make sure you love the resulting mix down and should pass your quality standard. It is important to document everything during the recording session. 8. )You can then submit the mix to the mastering engineer to make the recording of the song broadcast ready. Keep all masters of the song. This includes the high resolution digital master in 24-bit/96KHz and the CD audio master provided by the mastering engineer. Store this in a safe place. You can read the section that talks about the details pertaining to the required skills of a producer. So you realy think you want to be a record producer? If you have the passion of creating a music album, singles, sound recording, etc. And you would like to work with artist/band or singer whether in the recording studio, or do a songwriting session with them as well as help them release their own work. Then you need to become a recording producer. These types of producers are more likely to excel in songwriting, managing artists, motivating artist and other managerial tasks. These are very common in traditional type of record producers in the 60’s down to the 90’s. These producers know the record process in detail and also know how to operate a mixing console, perform the recording, mix, or even master the recordings. These types of record producers tend to be more common today than yesterday. You might hear the word “bedroom producers”; these producers are writing and producing their own music at home. 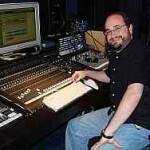 With the popularity of home studio recording; it gives birth to a lot of technical type of producers. It is important that in the long term you possess both skill sets to maximize your career as a producer. Probably in the early phase of your career, you need to concentrate on your core talents and skills (whether as a creative or a technical producer type), and then gradually possess another sets of skills. Let’s start with the most common type of producers – the technical type.